This is quite obviously the most simple reason. Trees, when left to their own devices, can branch out all over the place which can look unkempt. Most trees that are planted in front of homes are put there to serve an aesthetic purpose. For example, a tree like the Dogwood, which is very popular in Michigan, has a very clean look and most people want to keep it like this. This being said, routine pruning and trimming can go a long way in keeping the trees in front of your home pretty and kept. Additionally, pruning trees in the spring can optimize the amount of flowers that blossom on branches. We all know that the weather up in the Midwest is unpredictable. With summer thunderstorms bringing about high winds and winter blizzards dropping feet of snow on us, it’s quite common for older branches on trees to become unsturdy and breakable. Unfortunately, unstable branches can fall at any of time, making trees especially unsafe if they’re not maintained. Making sure to regularly have your trees trimmed and pruned allows for optimum safety, as it rids the trees of these weak branches. Give Halo Tree Service a call and we’ll take care of pruning trees for you. You know that feeling when you go too long without getting a haircut and your ends feel dry and brittle? Apply this logic to trees. Trees with dead or dying branches aren’t healthy trees. Not only do unhealthy branches make your home more dangerous, but they also pose a health risk on your trees. First, damaged branches are more likely to contract a tree disease which can potentially lead to your tree dying deteriorating. Additionally, trimming and pruning trees can reduce the amount of already diseased branches before the disease could spread to other sections or other trees. Knowing the best times to prune your trees could save you tons of time in the long run. Don’t understand? If you wait too long to have your trees pruned, you could miss the ideal pruning seasons. And, unpruned trees may be more susceptible to disease and damage. The two seasons that you should be pruning your trees are summer and winter. Winter is an ideal pruning perious because the trees are dormant and are much less susceptible to diseases. Additionally, summer is also a great tree pruning season because that’s when trees are doing most of their growing. Therefore, pruning trees in this season is best to ensure that branches are forming in the right direction! Fall, conversely is the worst time to prune trees due to the threat of spreading spores to damaged branches because trees heal slowest in autumn. Should You Prune or Trim Trees on your Own? 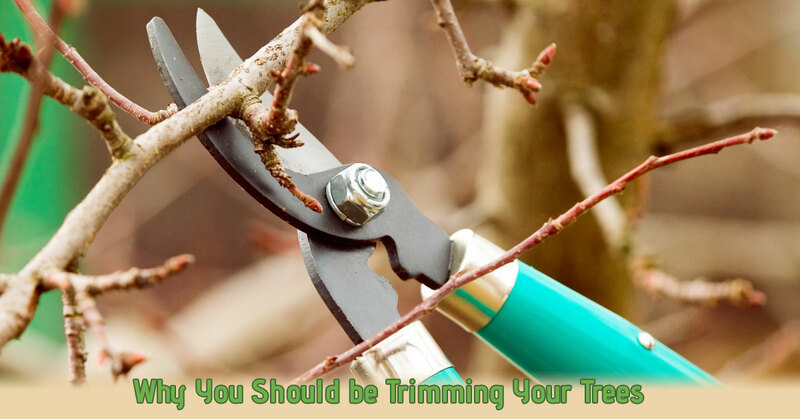 Trimming or pruning trees as someone who has little to no experience doing so could be very dangerous and could harm the overall health of your tree. Hiring a professional team of people who are trained in tree trimming and pruning is the better option in maintaining the forestry around your home. Us at Halo Tree Service have all of the expertise on how to trim trees safely and ensure that they look beautiful all year round. If you have a tree in your yard that might need some trimming, don’t hesitate to call our tree cutting service, today!